Posted on 01/15/2019 When Is an Adult Guardianship Needed? What’s the Process? The cost of Alzheimer’s care has been rising rapidly for the past 10 years... and it shows no sign of stopping. Not only that, but the percentage of seniors with Alzheimer’s is on the climb. 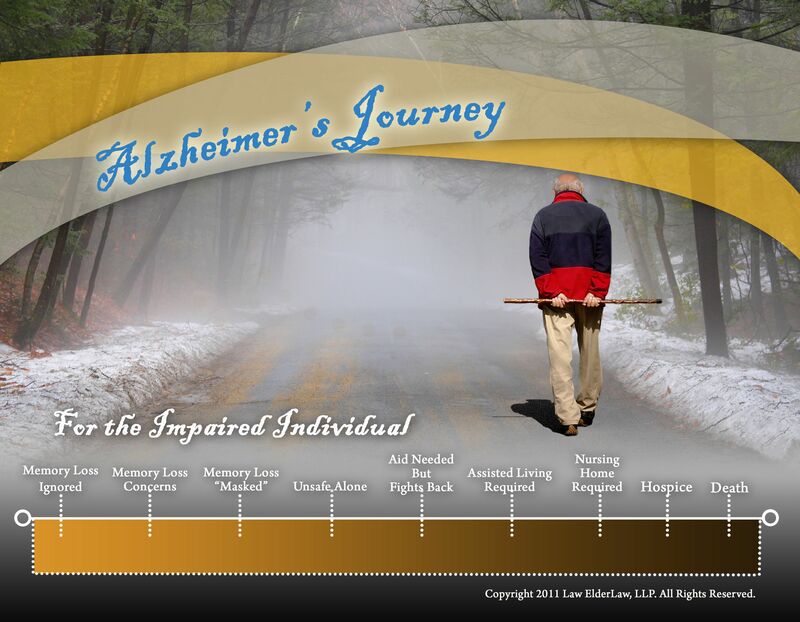 An epidemic of Alzheimer’s disease is upon us, as Baby Boomers have begun to hit age 65 in 2010. Between 2010 and 2050, the number of people with Alzheimer’s is expected to jump from 5.5 million to 14 million. In a study by The Lewin Group, it was revealed that within 10 years, Medicare’s costs of treating Alzheimer’s patients will soar well above 49.3 billion dollars. There’s a similar outlook on the spending in the Medicaid department... but the important thing for seniors to know is which of these is going to pay for your loved one’s care. The fact of the matter is, Medicare only cares about your loved one if they’re going to get better. If they suffer a heart attack or a stroke, and rehab can help, they’ll continue to pay... but only up to 100 days. In reality, very few people know the difference between Medicare and Medicaid. Medicare simply doesn’t pay for long-term, chronic care. If your loved one has Alzheimer’s, that means that they’ll have to rely on Medicaid if they are out of money to pay privately for care. According to the Alzheimer’s Association, “Most people who get Alzheimer’s and related dementias are Medicare beneficiaries. Even though Medicare does not pay for what they need most -- long term care and prescription drugs, it spends a lot on their basic health care. Alzheimer-related health care costs are not limited to those with the disease. Caregivers—one-third of whom are Medicare beneficiaries themselves—have more health problems than others their age. As we continue on in our course, you’re going to discover what protections you may be able to use so that even if your loved one does need to rely on Medicaid to pay for their care, you’ll still be able to give them the quality of life they’re accustomed to. When someone is on Medicaid, they often can only keep about $2,000 in savings and $30 per month... just $1 a day. What can you buy for $1 a day? It’s not enough to pay for the basic essentials your loved one will need when they enter a nursing home, let alone to provide for those little extras that make life sweeter. Download a free copy of Jackie Bedard’s book, The Ultimate Guide to Paying for Nursing Home Care in North Carolina, to learn the nursing home and Medicaid secrets you need to know to avoid going broke in a nursing home and leaving your family penniless. Carolina Family Estate Planning provides full-service estate plans to those in and around North Carolina’s Triangle, including Cary, Apex, Holly Springs, Fuquay-Varina, Raleigh, Durham, Wake County, Orange County, Research Triangle Park, Morrisville, Durham County, Garner, Wake Forest, Chapel Hill, Pittsboro, Pinehurst, Southern Pines and Fayetteville.